Sure, credit cards that reward dining and hotels are great — if you're a person who travels or eats out a lot. 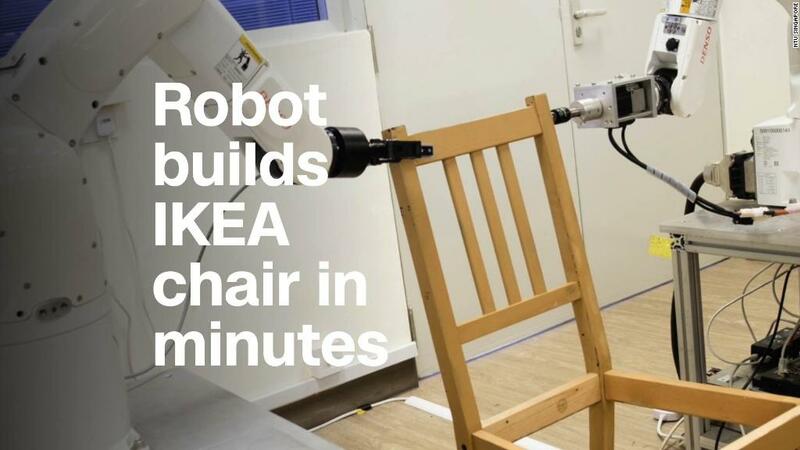 But for the many people who spend more time at home, Ikea is betting you want rewards, too. The furniture and housewares store is launching a new Ikea Visa card that offers store rewards and perks. Designed to help make Ikea shopping more affordable, cardholders earn rewards on their Ikea purchases and everyday spending such as utilities, gas and groceries, that they put toward purchasing Ikea products. The card has no fees or deferred interest. The card offers 5% back on every Ikea purchase, including its Task Rabbit construction and installation service; 3% back on all dining, grocery and utilities purchases (including cell phone, electric, and radio and streaming subscriptions like Hulu, Netflix, Spotify and Sirius/XM); and 1% back on all other purchases. The credit card comes with a single interest rate — 21.99% — for everyone. "We want to create a better everyday life for many people," said Jacqueline DeChamps, chief operating officer at Ikea US. "If they have a connection with us, they can realize solutions for their home faster with the rewards and can also build credit." The Ikea Visa Credit Card is part of a new program in partnership with Alliance Data's card services to design financing products for customers. Earlier this year Ikea launched the Ikea Projekt Card, which offers store-branded financing for people starting major home decorating or renovation projects. The Ikea Visa builds on the store's standing loyalty program, Ikea Family. Cardmembers earn those perks as well, including monthly product discounts, food discounts and 90-day price protection, which ensures you'll get a refund of the difference if a product you purchase goes on sale for less within 90 days. New card members also get $25 off their first Ikea purchase and $25 in Ikea rewards once the user has spent $500 on the card on qualified non-Ikea purchases within the first 90 days of opening it. For a limited time, they'll also get free standard shipping and delivery on in-store purchases. Update: An earlier version of this story said that the Ikea Visa card would offer free shipping on in-store purchases, and that the $25 discount for new members would last through August. Ikea now says that the free shipping offer lasts until August, while the $25 discount is ongoing for new cardmembers.